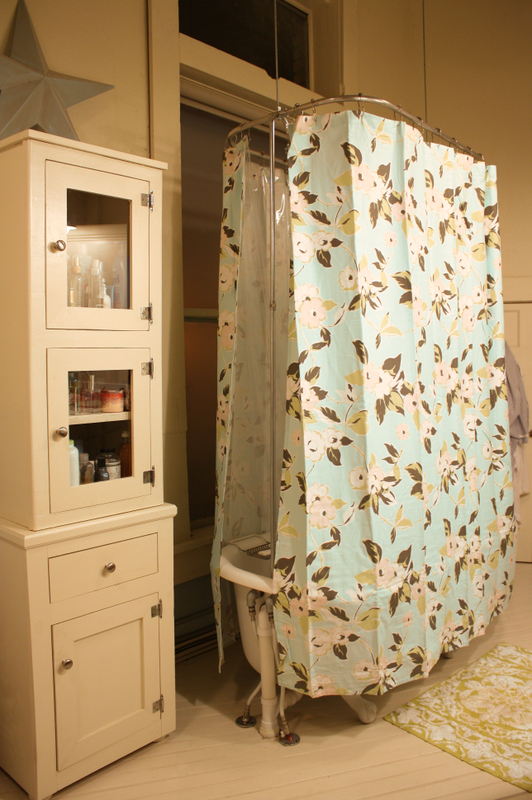 #141 Shower curtain. 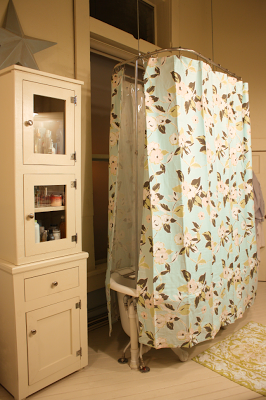 – Laurel Mercantile Co.
Now reading: #141 Shower curtain. This topic surely seems lackluster to you readers, but this was a big step for me today. I am such a firm believer in the WHITE shower curtain with WHITE floors and a WHITE tub — it feels clean, I can see every speck of grime so I can remove it right away, more specifically, bleach away. Our pitiful old white-on-white striped fabric shower curtain has been bleached to its death, and today I replaced them with some Anthro-ish florals. I’m falling in love all over again.